Payments are made online by booking at our website in currency $USD, in advance and for the total price of booking. Once the payment has been received and the minimum number of people in the group has been completed, we will send a reservation code as a guarantee that the tour is confirmed. In case of not confirming for lack of people and not completing the group of persons of the group, it will be compensated with an excursion of equivalent price. 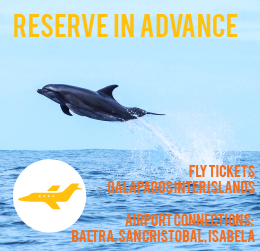 The passenger must inform the cancellations to admin@supgalapagos.tours, before 45 days of the date of the excursion, with a penalty of 50% of the total of the reservation. In another case, the agency will determine the applicable charges considering the date of cancellation. Cancellations due to poor weather conditions will not be reimbursed, but will be considered another excursion available at an equivalent price. Passengers who take excursions with SUP Galapagos are covered by basic accident insurance, but it is obligatory to have travel insurance and medical evacuation to be admitted to our excursions. You can contact us if you do not have travel insurance coverage. 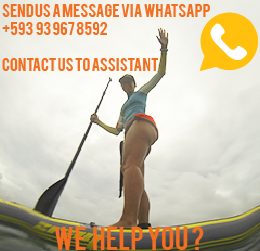 It is obligatory to pledge a passport or USD$ 100 as a guarantee of good condition and return of snorkel/ SUP equipment, towels and accessories given. The agency is part of a global operation, so it can not guarantee the compliance of all those involved in the operation. So it will only compensate the proportional part guaranteed by the operation of the agency. It is mandatory to submit the completed and signed disclaimer form (Personal Information), prior to the excursion.